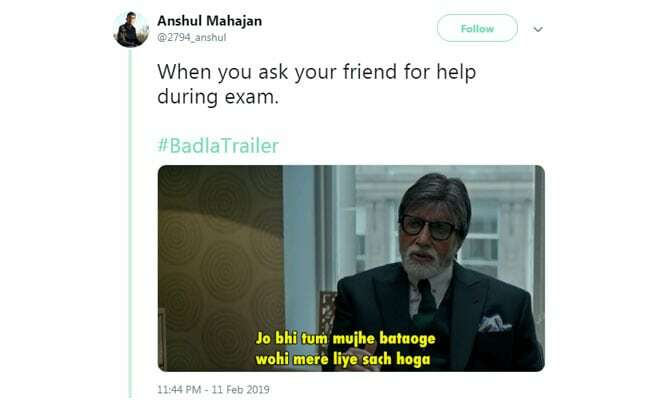 Badla's trailer has inspired a ton of hilarious memes. The trailer of Sujoy Ghosh's Badla hit the Internet on Tuesday, and Twitter wasted no time in getting down to business and creating memes from it. 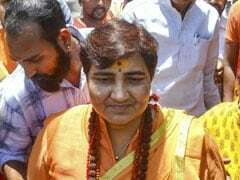 Starring Amitabh Bachchan and Taapsee Pannu, the film appears to be a murder mystery. Its trailer definitely gave netizens a lot of meme-worthy moments, and you can be sure they did not waste them. Like with most other Bollywood movies recently, Badla's dialogues too were turned into hilarious memes. Liked these memes? Badla is not the only Bollywood movie to have given us hit memes. Recently, Luka Chuppi and Gully Boy also inspired Twitter memes that will leave you in splits. Badla will hit the theatres on March 8. Which meme from its trailer did you like best? Let us know using the comments section below.